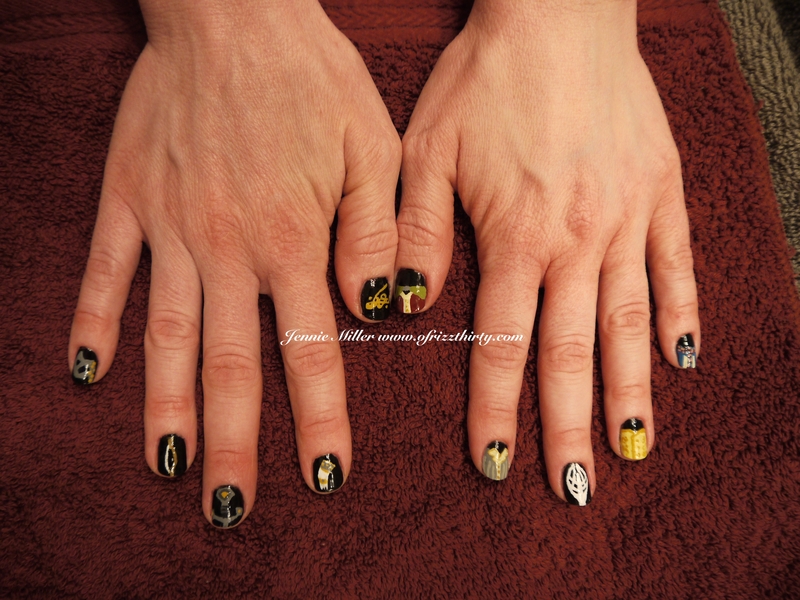 Lord Of The Rings: Fellowship of The Ring NAILS!!! I was ravenous to do something Geeky today! 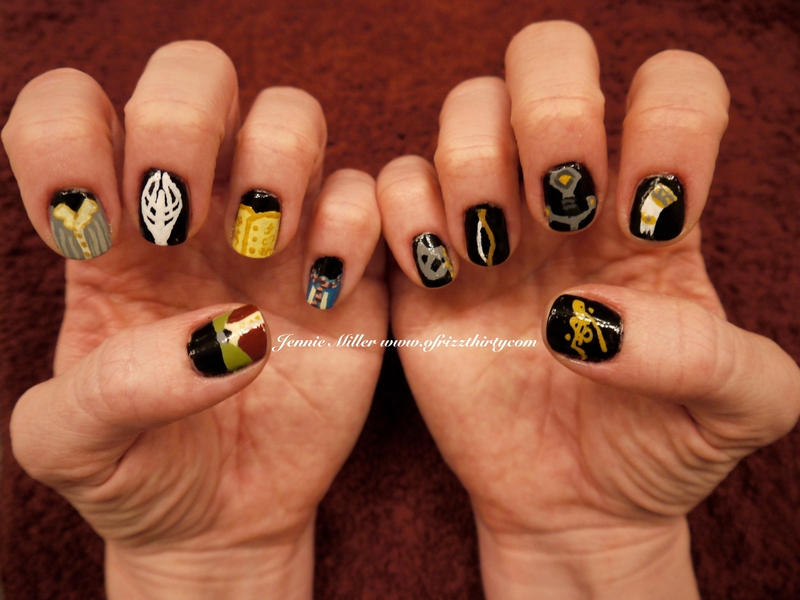 So, I sat down during the kids’ naptime and banged out these awesome Fellowship Nails. Gimli’s Axe, Legolas’ Bow, Aragorn’s Sword Narsil, Boromir’s Horn of Gondor, The One Ring, Frodo’s Vest & Elven Cloak, Samwise’s Vest and Shirt, Galdalf The White’s Staff, Merry’s Vest, and Pippen’s Jacket and Scarf.